In addition to the standard 802.11ax capabilities, Aruba ensures a differentiated experience via several unique features. The all-electric powertrain Tesla model S provides a ludicrous acceleration. The car’s most performance-centric model, the P100D, uses its 100-kWh battery and two electric motors to achieve the highest speed—0-60 mph in 2.5 seconds, 762 horsepower, and 687 pound-feet of torque. It can comfortably seat five people with a sizable trunk while making the snowy drive to the mountains safe and comfortable. The sheer power, beauty, and luxury of a Tesla has been a recurring theme as we launch our first series of 802.11ax access points at Aruba. Powerful, reliable, and high capacity are what you get from Aruba’s new 510 series 802.11ax (now known as Wi-Fi 6) campus access points. As more mobile and IoT devices rely on wireless access, networks have to accommodate a broad mix of devices, applications, and services. And that is even more challenging, especially now that we have very low tolerance for a bad user experience. Any voice delay or video jitter is no longer acceptable. So, before we jump into the 510 series, let’s see what 802.11ax is all about. The IEEE 802.11ax standard is designed to maximize capacity and efficiency by 4x compared to 802.11ac in a dense network and ensure that all devices get the bandwidth they require. We sometimes associate high density to large public venues or lecture halls, but nowadays any place that has around 25-30 users who are carrying multiple mobile devices or IoT is considered high density. The power in 802.11ax lies in its multi user capabilities, serving multiple clients and traffic types at the same time. There are two types of multi user features: Orthogonal Frequency Division Multiple Access (OFDMA) and Multi User Multi Input Multi Output (MU-MIMO). Support for uplink and downlink OFDMA enables multi-user transmission for short packets such as voice. In fact, voice applications, which comprise a large percentage of traffic on the network, are not larger than 60 bytes. So by allowing multiple short-packet traffic to be transmitted simultaneously on the same channel, 802.11ax can increase network capacity and user data rate and reduce latency, especially in environments where there are a lot of IoT devices and voice applications. The other multi-user feature, MU-MIMO, improves network capacity by allowing multiple devices to transmit simultaneously to multiple clients (up to eight devices), similar to how it worked in 802.11ac wave 2. The 802.11ax access point will dynamically make a decision whether to use OFDMA for short packets or use MU-MIMO for longer packets such as HD video. So with 802.11ax, whether people are making Skype calls, taking an online exam in university, or ringing up customers on Square, they all will have a good user experience. The 510 series leverages the full suite of 802.11ax technology standard—and more. 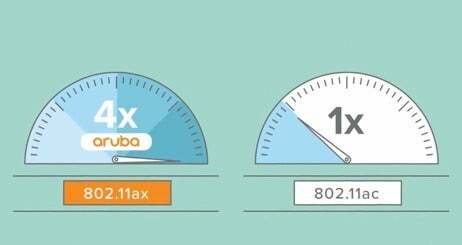 In addition to the standard 802.11ax capabilities, Aruba offers other ways to ensure a differentiated experience. The 510 series supports Aruba ax-aware ClientMatch, which automatically detects and classifies mobile devices, groups them, and matches them with the best APs and radios to optimize network performance. This way, 802.11ax-capable devices are grouped with the 802.11ax APs, boosting the performance of multi-user capabilities. If you have one ax client with one AP and multiple ax clients with another ax AP, simply moving that single client and grouping it with the rest makes the multi-user capabilities of OFDMA/MU-MIMO become meaningful. Also, on the security front, we are the first to add support for WPA3 and Wi-Fi Certified Enhanced Open, ensuring our customers have the latest security standards. The 510 series is also the first ax access point that has integrated Zigbee and Bluetooth 5, making this hardware a universal IoT since we can address 74% of IoT. There are other features in ax that is well suited for IoT, such as Target Wake Time (TWT) that helps with battery saving for IoT. So, imagine in a large manufacturing line, it would very hard to change the batteries of IoT devices. Also, OFDMA really helps latency-sensitive IoT devices have good experience. 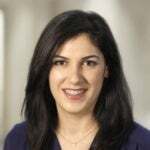 Similarly, Aruba’s AirMatch uses machine learning to provide channel, channel width, and power planning, ensuring the network provides a good experience even in high-density locations. 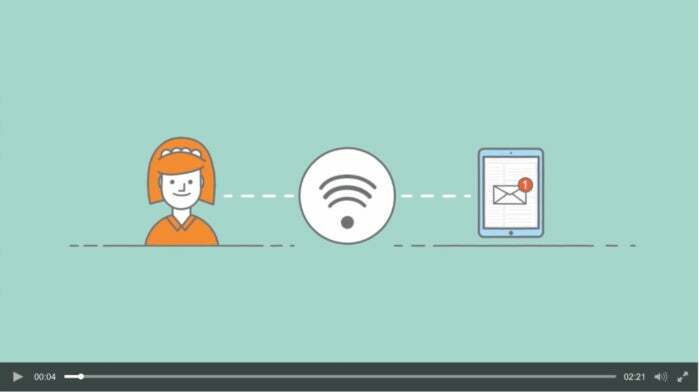 Watch this short video to learn more about Aruba 802.11ax. For all its performance, the 510 series is highly energy efficient. This may actually come as a surprise to you, since 802.11ax is synonymous with higher consumption all the way up to 60W. But with Aruba, you don’t have to resign yourself to a higher power bill. Similar to Tesla, you can still have a high-performing car but also be socially responsible. Aruba NetInsight Green AP uses machine learning to put 510 series into sleep mode (a feature that is in 802.11ax) when the APs are underutilized, saving power up to 72% per AP. So, for our Aruba office where we normally come in around 7 am and we have staff leaving around 7 pm, we roughly have 12 hours of underutilization of APs. Green AP learns that pattern and adjusts so that some of the APs go to sleep, keeping some APs on for IoT-connected devices or occasional employees coming to work at night. Learn more about the 510 series APs. Refresh your memory on the goals and key features of 802.11ax.